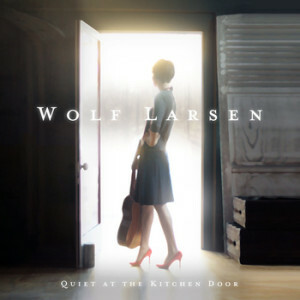 In 2010, Nick began recording and producing an album for singer/songwriter, Wolf Larsen, entitled “Quiet at the Kitchen Door“. The album features Nick on classical and electric guitar, electric bass and keyboards, playing off of Wolf’s haunting melodies and Cohen-esque song forms . The song “If I Be Wrong” was featured on NPR, and was the #1 most ranked song on the Shazam charts in Ireland, as well as hitting the Top 20 on the iTunes charts in Ireland in the months of Dec 2014 and Jan of 2015.